(July 15, 2008) The meeting of G8 leaders in Hokkaido, Japan, proved to be an exercise in escapism. The final communiqué of the G8 leaders is more of a recycled rhetoric of broken promises. This meeting, held in the midst of financial, fuel, food and climate crisis, failed to recognize the gravity of the crisis. The G8 leaders’ posturing of confidence will not help to solve these issues. This would further increase the legitimacy crisis of G8 as a credible forum to develop any viable solution for the ongoing problems of hunger and injustice- partly perpetuated by the corporate and institutional interests of G8 countries. The original grouping of rich industrialized nations–G7–emerged in the context of the oil crisis of the 1970s. Now after almost thirty years, G8- that includes the co-opted Russia- face the challenge of being responsible to address the looming crisis of finance, fuel and food. 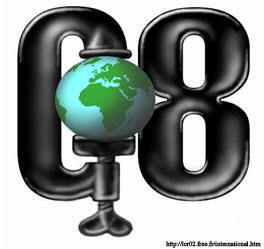 The balance sheet of G8 in the last thirty years clearly shows that G8 as an institutionalized venue failed to provide any meaningful solution to the issues of poverty, war, inequities and injustice that confront the world. While they have managed to impose the neoliberal policy paradigm- with the strategic use of World Bank and IMF conditionality- on the developing world and poor nations of the world, they have not been able to do anything substantial to address trade inequities, aid diversion and debt trap. In fact, G8 leaders, instead of solving these issues, often used the Summits to push forward the interest of the rich countries, with lots of window dressing and rhetoric about poverty reduction, and more aid for the poor countries. In 2005, they promised to write off the debt and double the aid to Africa to address issues of poverty, disease and sustainable development. After three years, these leaders stand exposed in the graveyard of broken promises. Though a new grouping of G5, countries, including India, China, South Africa, Brazil and Mexico, are being co-opted in to the periphery of the G8 Summits. The G5 Countries too have failed to influence the agenda or outcome of the G8 process. So it is high time for the G5 countries to ponder the very validity of being in the periphery of the G8 Summit- legitimizing the agenda setting role of the rich and powerful countries. Instead of playing the second fiddle to the rich American- European axis and a co-opted Japan, it is high time for G5 to explore the option of reviving the G20 process as an alternate option to discuss and to adopt collective measures to address the issues that confront humanity and the world. This requires a fresh imagination and political will from the part of the G5 leaders. The Hokkaido summit is happening in the midst of international policy and political crisis. Though G8 leaders claim that it is the grouping of the democratic and developed nations of the world, the irony of G8 summit is that it is one of the most undemocratic of the global processes. The leaders neither discuss the key issues in their parliament nor involve citizens or civil society in deciding the agenda for the meeting. The public rating of many leaders, including George Bush and Fukuda, is at the lowest. The fact that G8 summits are held in the far away luxury resorts, fearing citizens and peoples’ action show that they are insulated from the people and process of democratic culture. This year an estimated US$ 250 million was spent by Japan for security alone. The leaders addressed the press through video conferencing facilities rather than facing the journalists. Why should the “leaders of the world” be afraid of the people they represent? Such a situation seems to indicate their lack of democratic credentials and legitimacy to represent the peoples of their countries or to take decision on their behalf. Authority without accountability and transparency is essentially anti-democratic in its very content and form. So the G8 Summit itself failed to meet democratic standards or accountable governance. Only three short years after G8 pledged to ‘make poverty history” at Gleneagles in 2005, spiraling food and fuel prices is creating poverty in historically large proportions. The G8 has done nothing to stop it. The ranks of the hungry have swelled in to 950 million this year and it is estimated that another 750 million are now at the risk of falling into chronic hunger. As many as 1.7 billion people, or one of every four persons in the world, may now lack basic food security. In fact the so-called food crisis is a symptom of a deeper crisis of finance capital and speculative commodity market. Over the last twenty years, most of the marginal farmers and small agricultural producers have been slowly poisoned through systematic withdrawal of support systems and subsidies, as a part of the neo-liberal structural adjustment Programs imposed on the developing world and poor countries by the G8 force and WB /IMF. The climate crisis was used as an opportunity to subsidize the rich farmers through Biofuel subsidies. The rising food price is driven partly due to new appetite for biofuel power to fuel their cars. The corn needed to fill up a car tank with ethanol could feed a hungry person for one year. This in effect makes Biofuel the new poison that can undermine the food security of million of people and steal their food and lives. It is imperative to stop all subsidies for Biofuel, primarily by the US. It is also important to declare a moratorium on the diversion of agricultural land for biofuel monocropping. However, it is appalling to see the evasive tactic of G8 leaders on the issue of biofuel perpetuating food insecurity and crisis. Though there has been lots of discussion about climate change, G8 leaders simply failed to walk their talk. The G8 countries’ failure to reduce greenhouse gas emissions is already wreaking havoc on agriculture through severe floods, droughts and rising temperatures. The carbon dioxide emissions from G8 countries make up to 40 percent of the world’s total emission. And yet only 13% of the world population lives in G8 countries. Not only are G8 countries responsible for large-scale pollution, they are also failing to compensate poor countries that are bearing the brunt of the G8 countries’ dirty emission. Though G8 countries have promised that that will reduce emission by half by 2050, it is too far off and less of a commitment to meet the challenge of climate crisis. So the promise of 2050 is more of a stalling tactic, rather than real commitment to act. While the environmental and economic viability of nuclear power generation is increasingly questioned in their own countries, it seems the G8 is once again pedaling nuclear power generation as a response to climate crisis. When we locate this in the context of the proposed civil nuclear deal with India and the US, it is clear that many of the G8 countries are very keen to market their old nuclear reactors to emerging markets such as India. Hence, the Hokkaido G8 summit is a more regressive step. The final communiqué thoroughly exposed the lack of policy or political imagination of the G8 leaders. The communiqué also signified their lack of political will and the deficit of moral and political legitimacy to act as the leaders of the world. The pertinent question is whether the G8 is a part of the problem or part of the solution. The Hokkaido Summit seems to suggest that G8 is keener to remain as a part of the problem. The world requires more accountable, imaginative and multilateral processes to address the issues of injustice, poverty and environmental crisis. The answer should lie more in reforming the multilateral United Nations Process, rather than rely on the quasi-global governance posturing of the G8 leaders.